SS 2019 PFW kicked off just a couple days ago and we already can’t wait to shop some of the new styles. Spring 2019 is going to be full of opulence and extravaganza and we are so here for it! Check out our favorite looks from SS 2019 PFW that we can’t wait to shop from head to toe. Gucci is making the past so relevant! Alessandro Michele once again made our jaws drop with the latest Gucci offerings. This look inspired by the disco era screams party! And who wouldn’t like to dance all night in a pair of comfy bulky sneakers that happen to be one of the biggest trends RN? 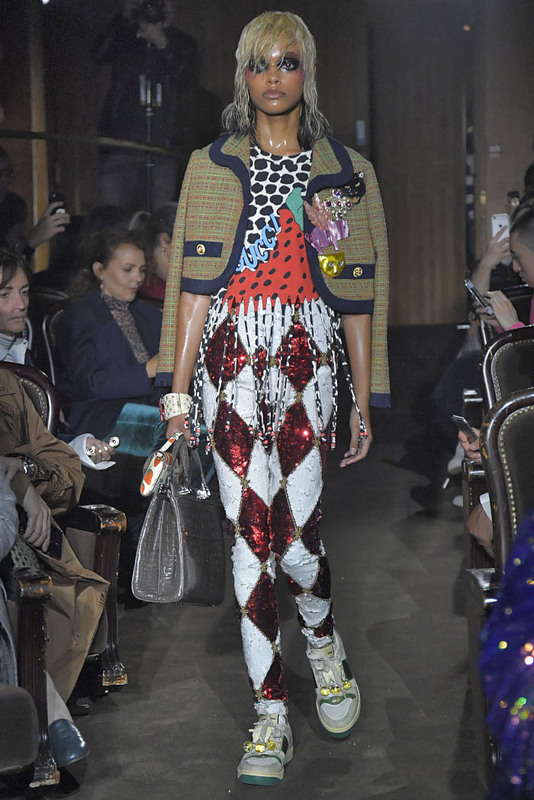 The designer managed to put together print-on-print, fringes, and sequins topped with the brand’s logo – maximalists are you going crazy over this look as much as we do?